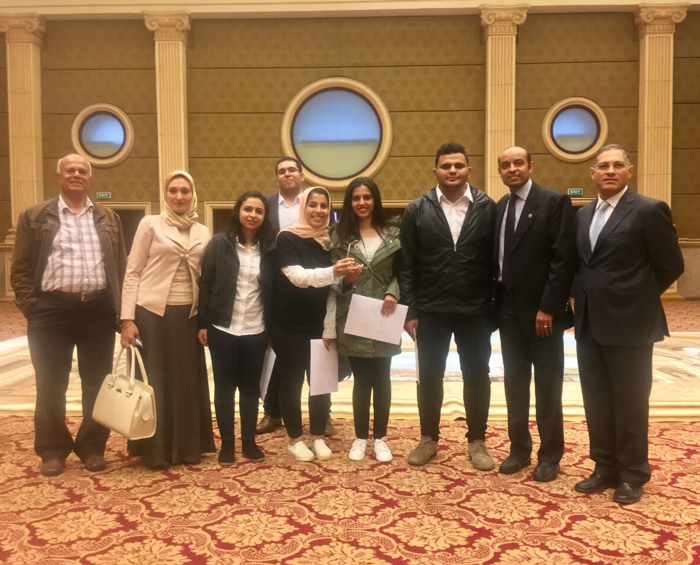 The Electrical Engineering Department came at the second place in the Societal Research Projects Competition for a project entitled as “Enhancing ATM Accessibility for the Elderly and Intermediate Learners”. This was held on Monday 27/11/2017 at PUA Conference Hall. The research revealed the highly academic potentials of the Electrical Engineering Students in providing innovative solutions for societal problems. More than 70 students conducted the research, under the supervision of Prof. Mohamed Abdel Rahman, Prof. Ahmed Abdellah and Dr. Sanaa Saeed. 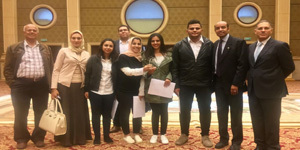 The research was presented by the students Mohamed Tarek Hassan Othman, Mostafa Hassan Mostafa, Nouran Mohamed Mostafa, Weam Ahmed Mohamed Ali and Aya Abd El-Moati.